Introduction: Do you believe in alternate universes? 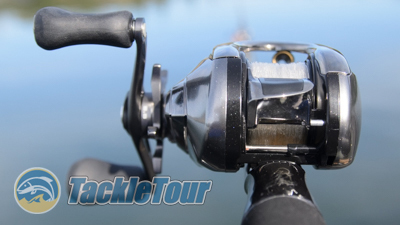 When it comes to Shimano's low profile baitcasting reels, it's as if there are two realities. One centers around their centrifugal braking system that has seen refinements in recent years to rival the industrial revolution. Gone are the days of the horse drawn braking systems with only internally adjustable brake blocks - a system that spanned centuries. In is the new gas powered, SVS Infinity system with internal and external adjustments. A system that has already seen refinements and advancements in its short, three year life span. There's a new Antares in town. Then there's the company's alien technology - digital control (DC). This is the stuff of the turn of the century tech boom. 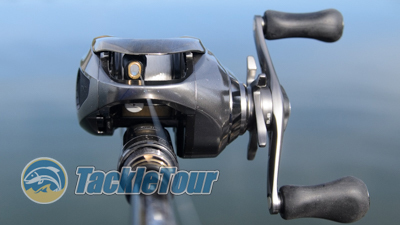 You tell this braking system what kind of line you're using, whether or not it's windy, if you're goal is for a long or precise cast, honestly, the only thing missing is a Siri interface or an app on your phone to control the reel remotely. Heck, it's even as if you have to seek angel funding to afford one of these reels! Introducing the 2016 Antares DC, a.k.a. my precious. Enter the subject of today's review. 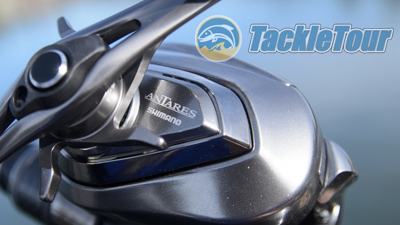 When I reviewed it's more primitive doppelganger back in 2014, I hailed the Shimano's 2012 Antares as having DC like performance. 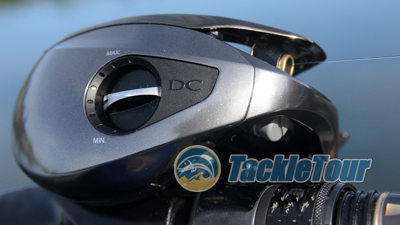 Today, we test that theory, so pull out your virtual reality goggles and strap yourself in as we take Shimano Japan's 2016 Antares DC low profile baitcaster (aka my precious) out for a spin. Releasing this precious gem from the confines of its box reveals a svelte, streamlined machine weighing a full ounce less than its 2006 counterpart. 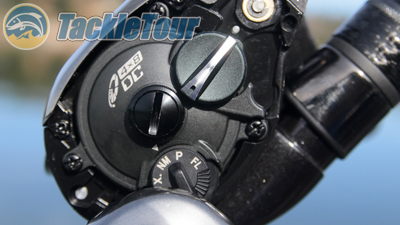 Impressions: Shimano Japan's 2016 iteration of their wicked Antares DC came to us in a stealthy black box. Releasing this precious gem from those confines reveals a svelte, streamlined machine weighing a full ounce less than its 2006 counterpart. Refinements include the company's micro-module enabled gearing and the double bearing supported pinion gear that Shimano dubs X-Ship. Along side these cosmetic and mechanical refinements, the 16 Antares DC comes with an updated digital profile sporting Shimano Japan's latest 4x8DC braking system. Refinements include the company's micro-module enabled gearing and the double bearing supported pinion gear that Shimano dubs X-Ship. 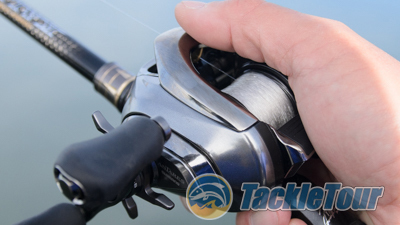 Holding the reel in hand and inspecting it closely, one notices that while the new, streamlined top plate retains the mirror like finish synonymous with this reel, the remaining side and front plates of the reel are actually painted, not ion plated. Lastly, missing from the reel all together is the spool tension knob - how curious. Holding the reel in hand and inspecting it closely, one notices the new, streamlined top plate. 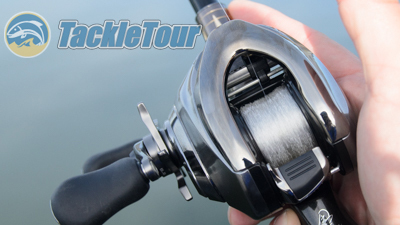 Real World Tests: We could sit here and talk about how advanced this reel is with its digital control braking system allowing the reel to sense and control revolutions down to one one-thousandth of a second (1/1000sec); or how Shimano managed to shave off a full ounce in weight with the new Hagane aluminum alloy frame and body; or talk about how that new Magnum Light (MGL) spool that's tearing it up inside their more primitive SVS Infinity enabled reels is also here and DC enabled; but really, when it comes down to it, all we want to know is how my precious performs out on the water. 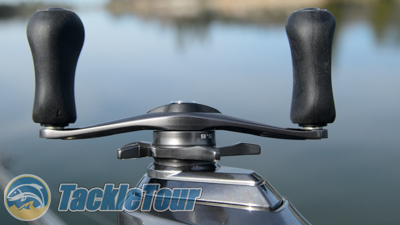 The top plate is more triangular in shape and cut off at the end - a design that has come to define the Shimano low profile baitcaster family. Casting: To conduct these evaluations, I had to match my precious with a staff befitting its prestige. The first that came to mind was Evergreen International's Kaleido Inspirare Black Stallion. How wonderfully matched these two JDM products were. I spooled my precious with twelve pound Seaguar Tatsu Fluorocarbon and proceeded to put it through the paces. Standard is the 84mm handle, but wait, where did the spool tension knob go? The concept of Shimano's 4x8 DC braking module is not new. In fact, the wicked 2006 Antares DC had this system which no doubt was refined before being installed in my precious. What the system entails is essentially four modes, each of which can be selected via a dial inside the non-handle sideplate: FL is the mode for use with fluorocarbon lines, or the strongest brake setting (4 on a scale of one to four); P is the mode for use with braided lines, or one step down from the strongest brake setting (3); NM is the mode suggested for nylon monofilament (2); and X is the mode with the least amount of brake control when long distance casting is the goal (1). At the heart of my precious is a refined 4x8 DC braking system.